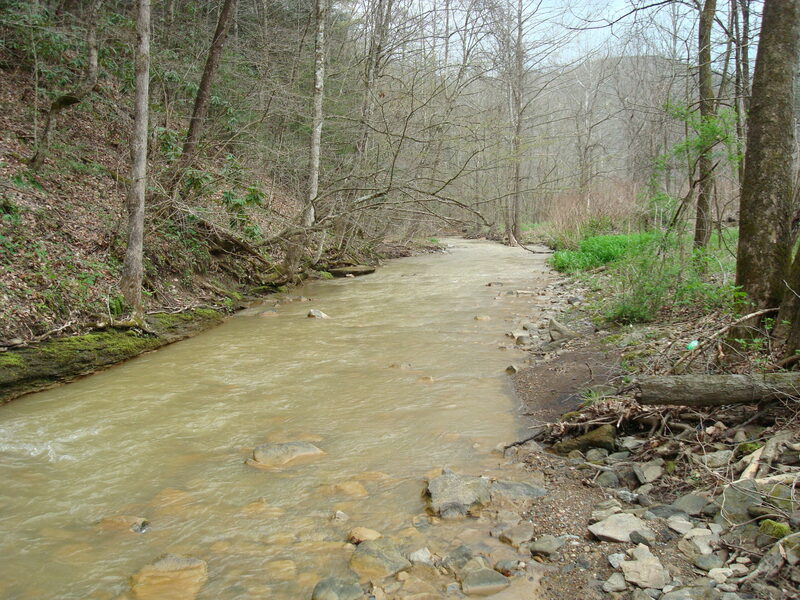 Copperhead biologists surveyed the primary stream and its tributaries searching for seeps and streams entering the creek from the mine site. 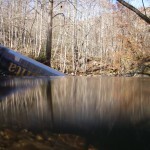 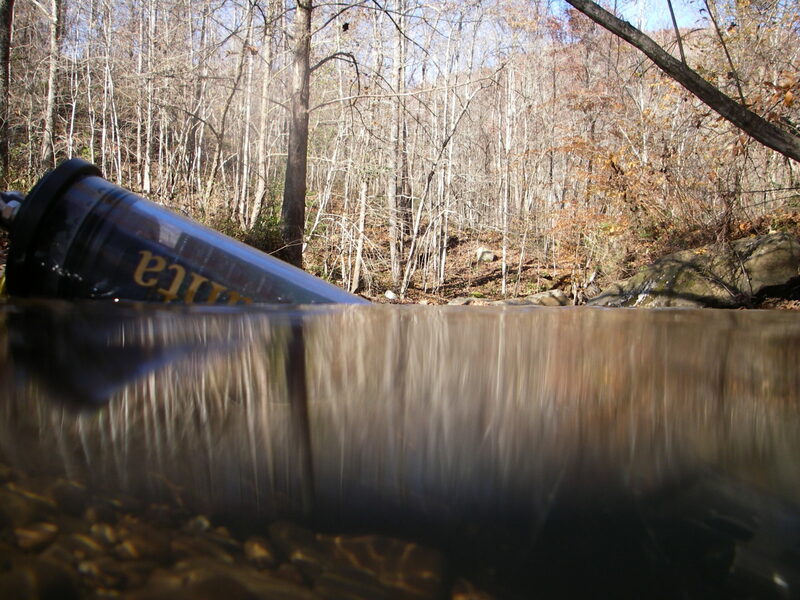 Personnel traveled upstream so as not to disturb the water being sampled when possible. 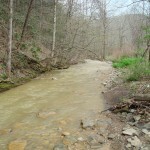 Each stream was followed and sampled upstream to the point that no water could be found in sufficient quantities to sample. 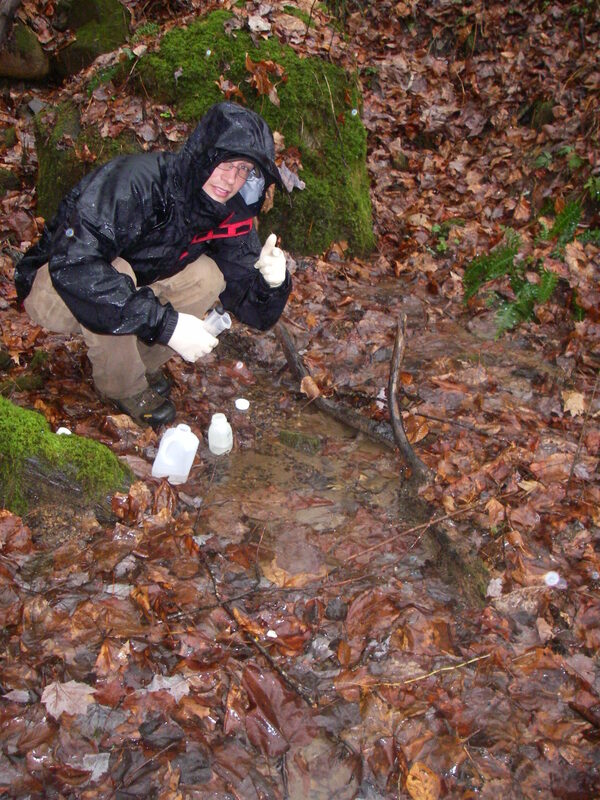 Sampling sites were selected to represent water above and below tributaries, springs and seeps. 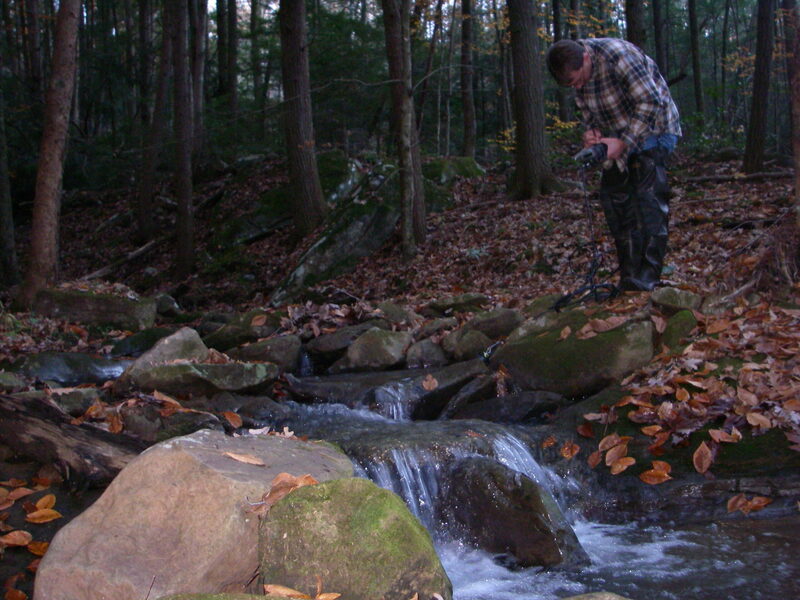 Standard Methods for the Examination of Water and Wastewater (2005) was used to survey water quality, and each sample site was recorded using a Geographic Positioning System (GPS) unit. 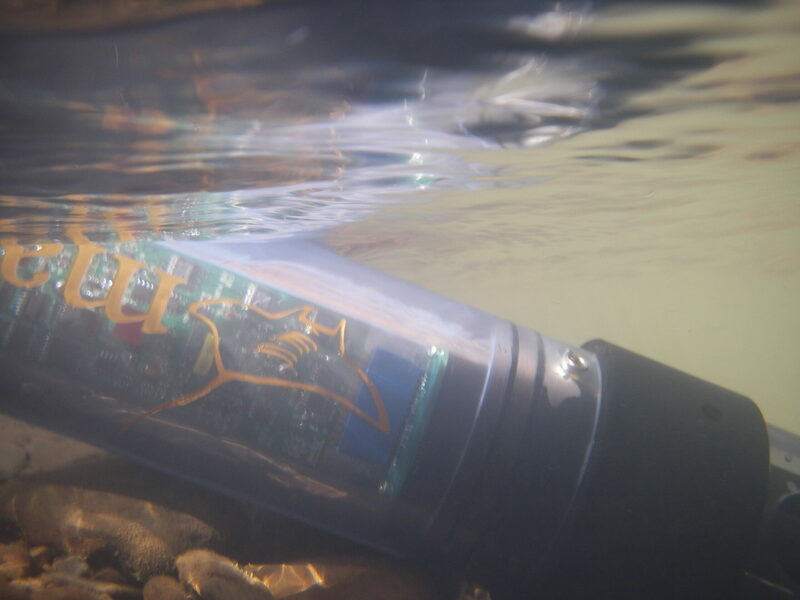 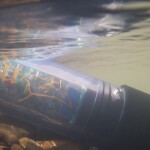 A Manta™ multiprobe with an Amphibian™ datalogger (Eureka Environmental Engineering) was used to take following parameters: water temperature (°C), specific conductivity (mS/cm), dissolved oxygen (mg/L), pH, salinity (PSS), and percent dissolved oxygen (%DO).